NEW YORK (AP) — Indiana safety Jonathan Crawford is very clear about what he thinks of colleges releasing information on player injuries. The U.S. Supreme Court’s decision that allows states to legalize sports gambling has sparked a debate about requiring injury reports in college football, a sport that hasn’t had unified rules. NCAA leaders are analyzing whether it’s possible to have more medical transparency to prevent collusion and be more consistent among hundreds of teams balancing the rules of various universities, conferences and state and federal laws. No formal plans have been proposed as legal experts and compliance officers analyze an issue that’s more complicated for college football than the NFL, which has a mandated reporting system. A similar system of regular in-depth reports in the NCAA would have the hurdle of privacy for younger athletes. New rules likely won’t come soon — the new season starts in three weeks and just four states have officially legalized sports gambling. Privacy laws such as the Health Insurance Portability and Accountability Act (HIPAA) and the Family Educational Rights and Privacy Act (FERPA) protect players against the release of personal information without the consent of players or their parents if the player is under 18. HIPAA protects medical records. FERPA protects educational records, along with medical records if treatment is given on behalf of a university. At least some players and coaches want that privacy to stay in place. Still, commissioners from the Power Five conferences generally believe some kind of uniform injury reporting is inevitable, even if the details still need to be worked out. Players consent to NFL injury reports as a condition of employment. Three practice participation reports are required every game week, along with game status reports and in-game updates. 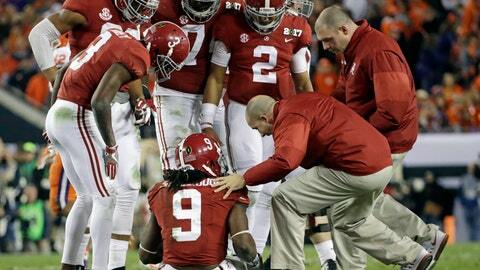 Right now, there is no standard in the NCAA for discussing player injuries. Some coaches are more specific. Others are reluctant to share anything at all. Washington State’s Mike Leach has a history of not even answering questions after a game about a player who was injured on the field. Chip Kelly also never talked about injuries while at Oregon — he’s now at UCLA — and eventually neither did his successor, Mark Helfrich, who’s now in the NFL. Miami’s Mark Richt used to be pretty open about injury updates but started to cut back because other coaches were withholding information. Others are more forthcoming, like Joe Moorhead at Mississippi State and Duke’s David Cutcliffe. That inconsistency could potentially raise red flags as legal gambling grows throughout the United States. If one coach reveals more than another, it opens up questions of whether it creates a chance for some gamblers to gain an unfair edge. Powers said bettors want a common language across the conferences. Coaches also want consistency, Berry said. That could mean only releasing a player’s status for the game — an availability report, which may be the safest option. Or injuries could be defined as lower or upper body only. “The more specific you get, the greater the chance is that you will wander into an area that is protected by one or both of those statutes (HIPAA and FERPA),” said attorney William H. Brooks, who works in the NCAA compliance and investigations group for his firm, Lightfoot, Franklin & White LLC. Berry said an argument can be made that no injury information should be released if institutions really want to protect the privacy of student athletes.